The problem of adverse effects of plastics has been a big concern to authorities and environmental watchdogs for a long time. Various policy interventions have been put in place to address the plastics menace. Vision 2030 picked waste management as a major national issue and made plastics management a flagship project that needed to be addressed urgently. The government has provided funds to support plastic waste management as a flagship national project. Counties have also allocated substantial sums of money for waste management. In 2010, Kenya adopted a new robust constitution. Article 42 assures all Kenyans a clean and healthy environment as a right, of course with a demand upon all of us to be responsible to safeguard this right. Article 69 obligates the government to eliminate all processes and activities that degrade the environment. Schedule 4 of the Constitution devolves waste management to Counties. Plastics are a common environmental menace and needs to be removed from the environment and both levels of government have distinct roles to play. The Sessional Paper No. 10 of 2014 on Environment Policy prioritizes the waste management agenda with an emphasis on strengthening legislation and strategies to handle the menace. In addition, the National Solid Waste Management Strategy 2015 further elaborates actions to be taken to address the waste challenge at national and county level. Waste management is further legislated in the Environmental Management and Coordination Act (EMCA) Cap 287 and its associated Waste Management Regulations 2006. This is the framework law guiding waste management in Kenya. The 2007 budget imposed a punitive excise duty of 120%, for all plastic shopping bags. The Minister for Finance enforced the move citing the need to protect the environment from further degradation. In January 2008, the Finance Bill also banned importation and manufacture of thin plastic bags less than 30 microns. Such actions may seem positive as they attempt to increase the cost of plastic packaging bags apparently promoting production of alternative packaging. However, experience has shown that plastic manufacturers simply pass on the cost to their clients thereby increasing the cost of end products. This has negative impact on the general cost of living. On 28th February 2017, the government issued Gazette notice No. 2356 banning the manufacture, importation and use of plastic bags carrier and flat bags for commercial and household packaging. Enforcement of this ban has contributed greatly to cleaner environment in Kenya. In September 2017, the Ministry of Environment and Forestry extended a ban on the use of the disposable PET bottles in Karura Forest and the National reserves and Game Parks, a move aimed at conserving and protecting animals and nature within this ecosystem. This has helped to minimize pollution in the parks. On 17th May 2018, the Ministry of Environment and Forestry (ME&F), National Environment Management Authority (NEMA) and Kenya Association of Manufacturers (KAM) signed a Framework of Cooperation (FoC) on development and implementation of Extended Producer Responsibility and Take Back Schemes for PET bottles. 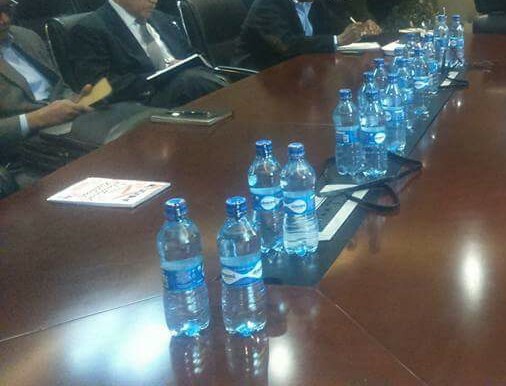 Under this FoC, Parties agreed to collaborate and KAM to establish and implement a structured and sustainable “Take Back Schemes” and Extended Producer Responsibility schemes for PET bottles. This will involve collecting used plastic bottles at a fee, which will later be recycled at designated plants. The scheme also entails a programme where as many Kenyans as possible will be educated on the need to recycle plastic bottles after use. Each of the parties (ME&F, KAM and NEMA) committed to implement specific obligations. The Ministry of Environment and Forestry is in the process of finalizing the Waste Management Bill and Policy. The Bill commits the government to put in place measures to reduce the amount of waste generated and, where waste is generated, to ensure that waste is re-used, recycled and recovered in an environmentally sound manner. In addition, the government will establish extended producer responsibility and a registry for diverse wastes. This bill and policy will be submitted to parliament for enactment in April 2019.